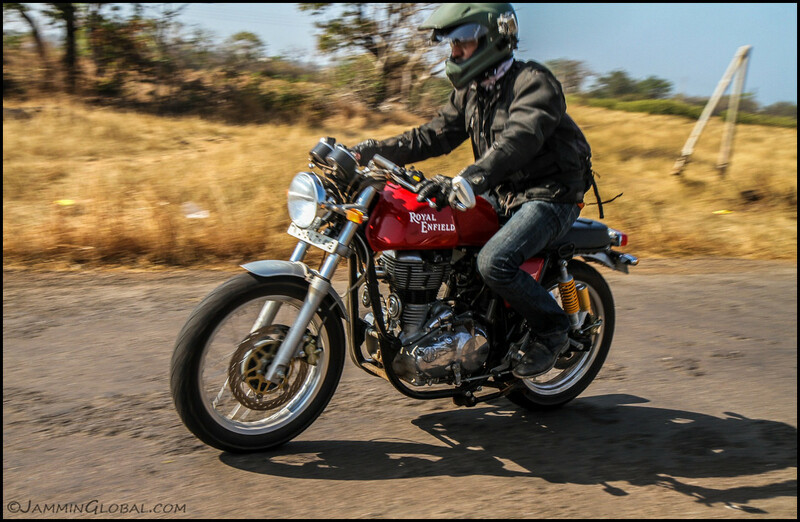 Test riding Royal Enfield’s new Continental GT on the ride to Goa. Wow, I love this bike! RE has done an incredible job with their café racer. The suspension and chassis are confidence-inspiring, the 535cc thumper has enough oomph for big smiles and the Brembo brakes saved me after going too hot into a sweeper. The riding position is very sporty and I was dancing on the footpegs through the twisties – haven’t ridden like that in years!